Peel and pit all the mangoes. 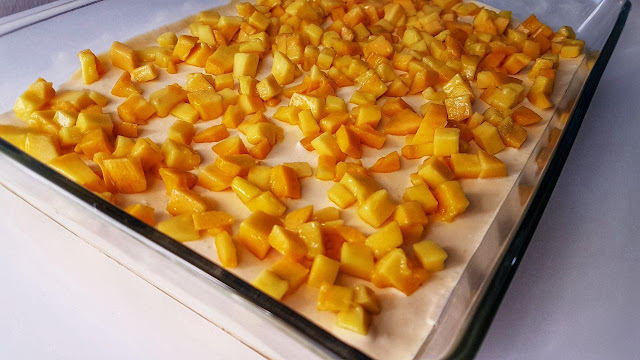 Blend the mangoes into a smooth cream along with cream and condensed milk. Take about half cup of the mango cream and fold into the whipped cream.Set aside. 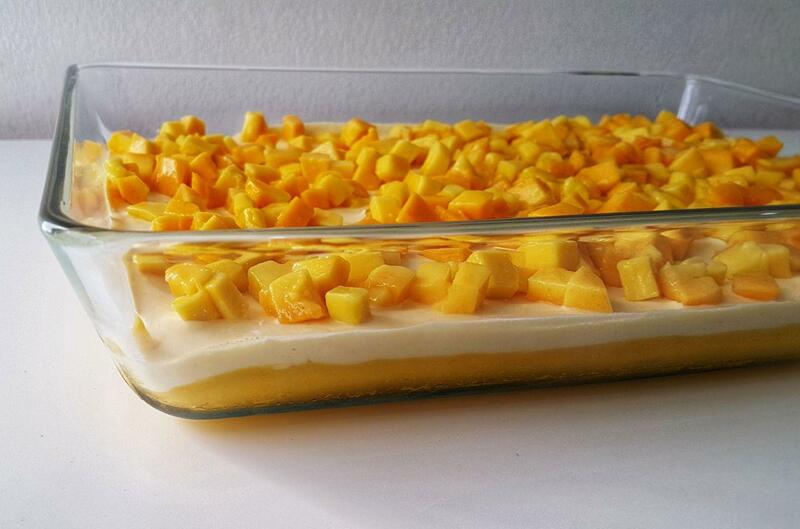 Take a large serving dish, and spread a thin layer of the mango cream. Then dip each biscuits in the milk and arrange as a single layer over the cream. Now spread the remaining mango cream over the biscuit layer. 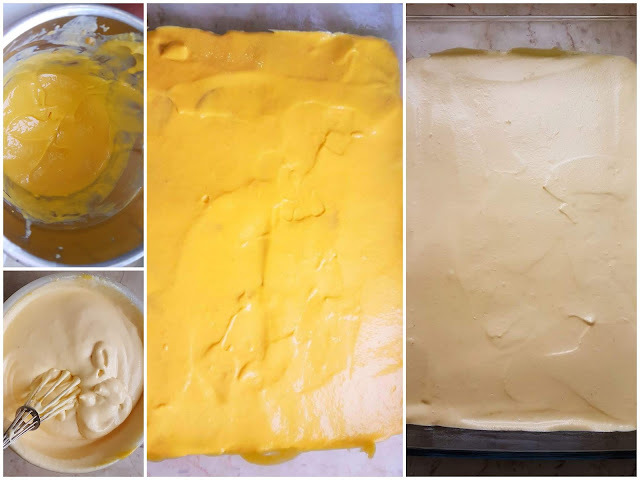 Finally spread the whipped cream mix over the mango cream into a smooth layer. Refrigerate until cold and gently set. When ready to serve, garnish the pudding with small cubed mangoes. This can also be served as individual servings in bowls or shot glasses.